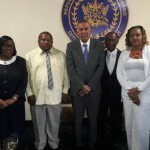 A year or two before former Prime Minister Patrick Manning passed away, I wrote an article stating—among many other things—that Manning no longer held any relevance for politics in Trinidad and Tobago. Of course multiple queries followed from readers. I did not explain myself then as I found the statement self-explanatory, but I will do so now. 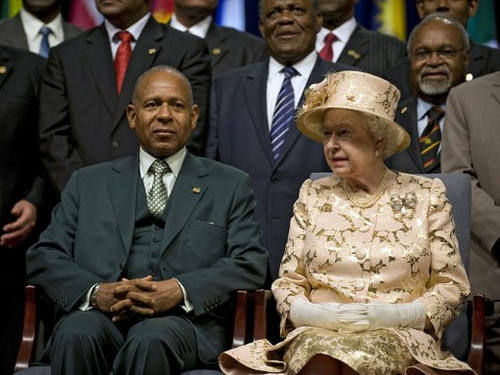 Photo: Trinidad & Tobago’s Prime Minister Patrick Augustus Mervyn Manning (left) and Britain’s Queen Elizabeth II pose after the opening ceremony of the Commonwealth Heads of Government Meeting in Port of Spain, Trinidad and Tobago on 27 November 2009. Queen Elizabeth II, the titular head of the Commonwealth, officially opened the three-day summit. Manning had just returned to “sweet Trinbago” to be met with much pomp and celebration after his treatment for cancer at a Cuban hospital. The irony of that seemed to escape many citizens of our country, especially the flag waving PNM supporters. The leader of one of the region’s wealthiest countries, seeking medical care in one of the region’s poorest. How could Manning still be relevant when Trinidad and Tobago’s failed and failing health infrastructure seemed to come secondary to the whims of his spiritual advisor/high priestess? Ditto for current Prime Minister Dr Keith Rowley’s submission and subservience to the Syrian-Lebanese “business” community. And ditto for former Prime Minister and living cautionary tale for sobriety, Kamla Persad-Bissessar, who appointed and presided over the most corrupt and rapacious Cabinet ministers in living memory. What the ‘ras’ does this have to do with the recently expired Russia 2018 FIFA World Cup or football in general? Well, hear meh out. 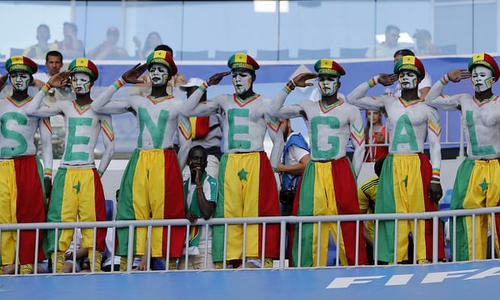 Photo: Senegal supporters get behind their team for their final Russia 2018 World Cup group match against Colombia on 28 June 2018. Everyone—whether they be rank amateur or elite professional—in whatever profession or endeavour they pursue, must have an innate desire to accomplish and to achieve. Their level of accomplishment or achievement would depend on the variables of integrity, intelligence, level of expertise, experience, etc. 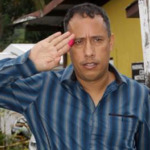 So someone with low integrity, average intelligence and insipid character—did I just describe our entire political class?—might be content in allowing sweet T&T to be turned over the years into a virtual Narco state, controlled by the boastful and myopic one percent, who drive around in fancy cars, ignorantly slurping down Johnny Black, while our mostly black young men fight and die over scraps. Allegedly. Transition—note the football analogy—this same thought to the coaches and players at the just concluded World Cup. Contrary to what most fans believe, these are not the best 32 footballing countries on the planet. They are simply the best 32 teams from their respective regions, which is a big—no, humongous!—difference. Long story short, as expected, the group games were littered with lopsided, low level games, with some fantastic goals. This provided the panel of experts engaged in TV coverage with an interesting dilemma: how to explain thoroughly mediocre matches punctuated by moments of brilliance? 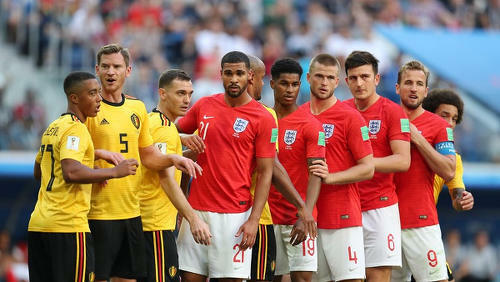 Photo: England captain and forward Harry Kane (far right) and his teammates prepare their “conga line” set piece routine during the World Cup third place play off against Belgium on 14 July 2018. Wait a bit, it would get even worse. As the World Cup entered the knockout stage, the majority of African, Arab and assorted Third World countries took their leave—like token Blacks invited to a Donald Trump White House Dinner. Unwitting accomplices to their own footballing demise, oblivious to the obvious truth that they can come dressed for the party, but they won’t be sitting down to eat anytime soon. Yet the absurdly corrupt football officials of the Third World—much like our own absurdly corrupt political class—could not give two firetrucks, as long as their personal interests are served. Germany, who looked stale and uninspired, were the exception that proved the rule among the European teams. My belief is that football, like any artistic endeavour, must strive for the pinnacle of aesthetic beauty, or else it stagnates and ceases to be art; it becomes just an endeavour. Now that the euphoria has died down, ask yourself what team—other than Belgium in spurts, and Croatia in even less spurts—left you with a sense of longing; a melancholy that one could feel from a Brazil 1982 team, a Spain 2010 team or even a Germany 2014 edition. Not a single one! Even the eventual winners, France, had television presenters and experts performing verbal gymnastics to provide a positive spin. “France showed us how you can dominate the game without the ball,” said Bein sport football presenter Andy Gray. Yes, France showed how you can win a game while being outplayed. But where’s the beauty in that? Where’s the sublime inspiration that resides in each and everyone of us to seek perfection? Let’s be clear here: this is a France populated with bigger stars and household names than all of Croatia’s registered players even; this was not a Panamanian team that was just happy to be there. In three months’ time, we will all be struggling to remember who won this World Cup. Well, maybe six months. 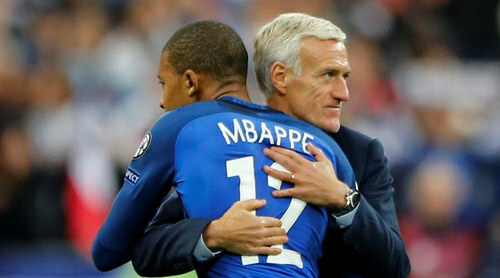 Photo: France coach Didier Deschamps (right) congratulates star teenaged attacker Kylian Mbappé during the Russia 2018 World Cup. Who do I blame? I blame the leaders, who are the coaches. If you as a politician, teacher, coach, father or mother, are not striving to leave a legacy that inspires, then you are no longer relevant; you stagnate, you are corruptible—not necessarily in a financial sense but in a moral and ethical one. 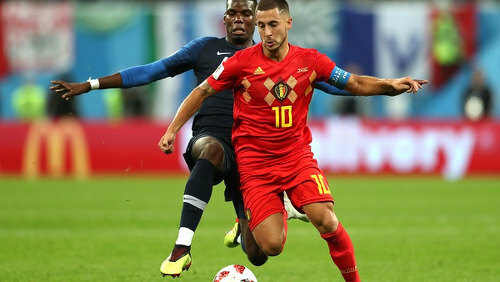 And therein lies the danger of mediocre leadership; that Didier Deschamps can take an excellent group of individual players and fail to see the possibilities of their capacities in striving for an aesthetic which can inspire generations to come—beyond the fact that so many of his players were African or Arab. To do so would have served a higher purpose than just winning of a trophy. Tele Santana and Johan Cruyff will continue to inspire generations of coaches and players for years to come. Can we say the same for Deschamps? Likewise, Brother Malcolm the X man will continue to serve as a reference well into the future. 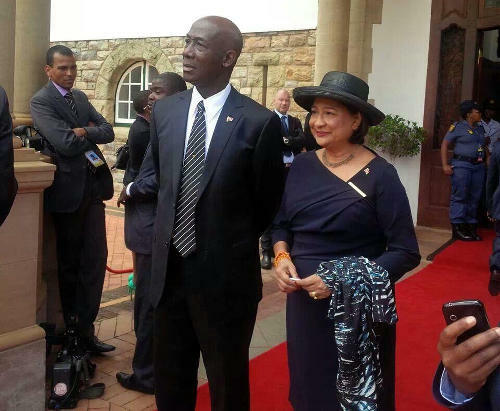 But what can we say about “sweet” Trinidad and Tobago’s past and current political class? Contempt, disdain or, at best, crickets! I purposely avoided the parameters established for me by Wired868 editor Lasana Liburd in writing this article. 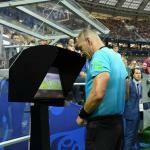 What more can I say about VAR that hasn’t been said ad nauseam? As for tactical trends and formations, I have never placed an overriding emphasis on those either. For me, it’s more about the philosophy rather than the formation. So, a team can line up on paper as 5-4-1—which seems primarily to be a defensive set up—but if the philosophy of the coach is to establish a high line and press in the opponents’ half, then 5-4-1 becomes an offensive set-up, contrary to how it sounds. As far as I am concerned, the biggest danger to football in the developing world has been unleashed on us by a political masterstroke from Infantino and his United States backers and influencers. An expansion of the World Cup to 48 teams gives the developing world the illusion of football development and inclusion. But it will be the same. 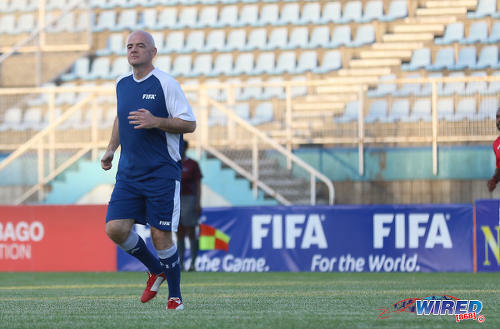 Photo: FIFA president Gianni Infantino struts at the Ato Boldon Stadium in Couva during an exhibition match on 10 April 2017. Come ‘house n***er’ and vote for Europe or the USA’s preferred candidate, take some more development money to go along with our established power structure and program; all and sundry knows that money will be corruptly used by said ‘house n***er’. Then play a few games in the group stages, pack your bags and leave town before the real party starts. And if you realise that this same model could apply to the PNM, UNC or any of the political parties inhabiting “sweet” T&T, you’re now thinking in philosophical terms. And that’s all I can ask! Spectre, so you’re telling us that the team that won the World Cup was successful. If you really think about it, you must believe that we all saw them lifting the trophy and know that already. So Nakhid must be pointing to something else. Read over the story. Spectre, everyone has different opinions. That’s fine once you can support it. I definitely agree with Nakhid as this is the worst world cup I have ever seen. The closest one to this was in 2006 when Italy won and still there were by far more talented teams on display with more open football played. Nonsense, the game has changed, not even BRAZIL can recreate their own countrymen’s 1982 performance. France showed resilience in defense, defended brilliantly and fought off all attacks as best as they could. On the other hand had patience in their attack and were clinical with their finishing. All other teams did not have complete of a game as France had. For the first time?! So you never heard of the “total football” Holland team of 1974? Siewdath it was before I was born too. But if you’re into football, you should know of them. This World Cup was amazing. Nothing was certain. Everything was possible. It made me happy every day! I thank each and every one of those young men for the joy I felt in my soul!!! Just remember the repeated.. relentless attacks Spain put on Russia. How did that end? Live with it. France and football won the World Cup 2018. Congratulations. I think using Giroud as a point so that Griezmann and Mbappe could float and attack from wide respectively, thus play to their strengths attacking-wise was quite creative. I liked it and I agree. Michael Jordan didn’t have to dunk the ball on a breakaway. He could have laid it up for the same two points. People who don’t grasp the point Nakhid tried to make about art and creativity should consider that. Maybe more people would get Nakhid’s point if he was less cryptic. Maybe he should take his own advice or comparisons. 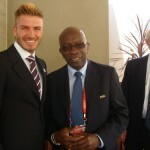 Don’t see him helping Trinidad and Tobago. We need coaches now more than ever in his context to help the future. So stay far and critique that’s the only legacy you will have or walk the talk like Deschamps for his country. And maybe France could have played beautiful football and be the equal of Brazil 1982…..a great team that won NOTHING! They preferred to be a Brazil 1994 that used the right approach to win that tournament. There is no guarantee of victory regardless of tactic. So everyone plays to their philosophy and Deschamps played to his. It is easy to talk when you already have the trophy. Then supposedly everything you did is justified. It takes a willingness to think outside of the box to look beyond the final score. Deryck so Manchester City last season was a figment of my imagination? Ever so often, a team like Greece or Leicester wins. Or a dour Mourinho team. And people say “art” is dead. They said same as far back as when the Hungary team of the 1950s lost. Or Brazil lost in 1966. Deryck my perception? So art doesn’t exist? Deryck fair enough. Art is definitely about opinion. 1) The game is won by the team who commits fewer errors. 2) Football favours whoever provokes more errors in the opposition. 3) Away from home, instead of trying to be superior to the opposition, it’s better to encourage their mistakes. 4) Whoever has the ball is more likely to make a mistake. 5) Whoever renounces possession reduces the possibility of making a mistake. 6) Whoever has the ball has fear. 7) Whoever does not have it is thereby stronger. The way we think is that we want the ball and it makes life harder for you if we have got it. Jose Mourinho lets the other team have the ball and adjusts his own team to react to that. You cannot compare the two philosophies. In Italy we just look to the result, we don’t care how we obtained it, it’s all about the result … it’s not a question of playing well or building a base for the future, you have to win. It’s only in Italy that you can get away with saying things like that. There’s no way you can beat your opponent by playing worse than them. For me football has to do with a sense of adventure, with risk, and he who respects that makes me feel supportive of his team. I mean, when I see a guy wearing a Barcelona shirt in somewhere such as El Salvador, I suffer, because I would rather see him with a Real Madrid strip. But I understand it perfectly: I can conclude that this is a guy who is fascinated by the dream team and fascinated by the culture of touch, of attack, of risk that Barcelona has upheld for the past 15 or 20 years. What I have found in my many years in football is that sometimes when you win you never play as well as you thought you may have but when you lose you never play as badly as everybody tells you. Lasana Liburd apparently many commentators here forgot that above all else, football is an art form. Which is why Serie A is losing ground. Why go to a stadium to see dreary victories. I might as well just look up the score. Shervon precisely. If all teams packed 11 players inside their defensive third and waited for a mistake from their opponents to counter, football would be commercially dead within three years. And many of the people who marvel at France now would switch to basketball or T20. They got success and good for them. 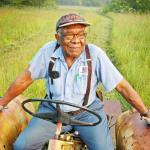 But it is not a model that purists would want to see emulated. Lasana Liburd deep down those French players know they weren’t convincing in the slightest. Especially in the final. Many use the case of Spain to justify this win but Spain is suffering from the World Cup curse, which is really just the reluctance to freshen up the team and philosophy so as to not upset stalwarts. Lasana Liburd Please don’t get me wrong. I said I am a Brazil fan because I adore the beautiful game. What I don’t agree with is that this world cup was not beautiful and devoid of artistry. This is what Frenchman Ben Arfa thinks: “It would be dangerous for France to hide behind this second World Cup win and make the team’s style a reference point,” he wrote in his column for France Football. “The French team’s ultra-cynical style is pretty ugly. Now that’s not to say that Ben Arfa is right. It’s an opinion. You might disagree. And I respect that Deryck. But it’s weird for ppl to say that it is crazy to even suggest that France were not magnificent. What an intriguing analysis. David is on point with his comparisons. What I would like to see is some prescriptions for the future both of football and politics.